Mildred is a fitted tulle gown with a pleated tulle sweetheart bodice and full ruffled tulle skirt & train. A fitted bridal gown with a full ruffled skirt. Layers of tulle and organza make up this fabulous wedding dress. 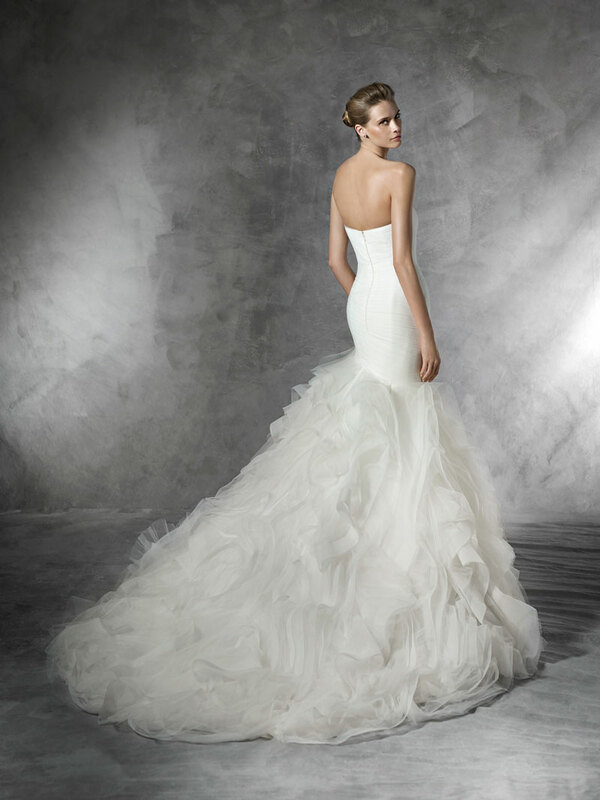 A pleated tulle bodice gives this bridal gown a figure flattering shape.